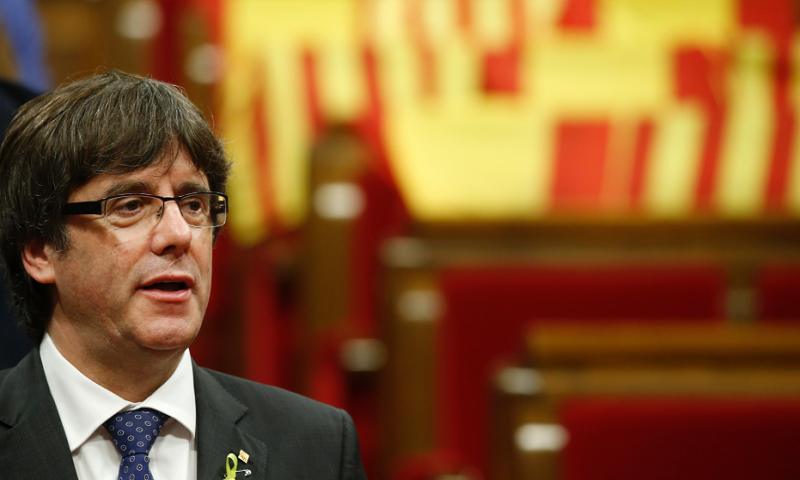 Ousted Catalan president Carles Puigdemont has criticized the passivity of European politicians in showing solidarity with the deposed and jailed government of Catalonia. In an interview Tuesday in Brussels with Catalan public radio, the separatist leader says there is an "absolute disconnect between the interests of the people and the European elites" and that Catalonia's problem is an "issue of human rights that requires maximum attention." Puigdemont is fighting extradition to Spain, where other members of the ousted Cabinet have been sent to jail while awaiting the results of a probe for allegedly weaving a strategy to secede from Spain. The Spanish central authorities are now in direct control of the northeastern region, where early polls on Dec. 21 are shaping into an electoral battle between separatists and unionists.